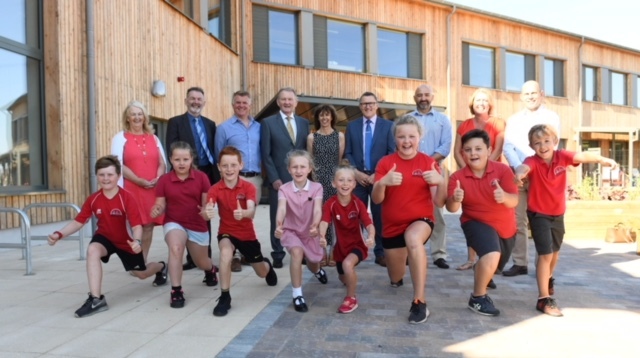 Our fantastic local school, Parc y Tywyn is the latest Passivhaus and BREEAM Excellent school building in Wales. Our children now have access to light, airy eco-friendly classrooms which provide an amazing learning environment. Our town may be tiny but the facilities on offer are world-class. Amcanu have been at the heart of Burry Port for more than 40 years. We’ve written before about our local secondary school, Glan-y-Môr who have won national competitions for their STEM achievements. Now our local primary school has been ambitiously re-designed into a world-class educational facility. The school is a stone’s throw from our factory and looks great. Once again Burry Port leads the way! - but we're never too busy to receive new enquiries. © 2002 – 2017 Amcanu (am-kan-ee) “design with purpose”. All Rights Reserved.